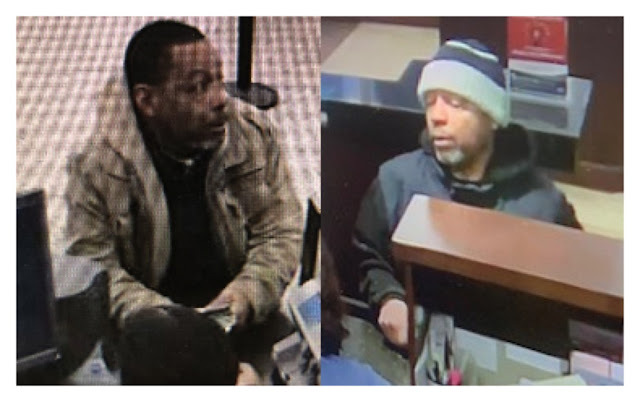 Chicago police are on the lookout for a man who has staked out and then robbed two banks in and near the Loop since mid-January, according to a newly-released community alert. 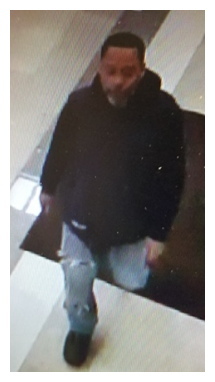 The man seen in these surveillance photos entered the banks’ lobbies and observed operations before leaving, then returning at a later time to rob the establishments, police said. Hold-up notes written on deposit slips have been passed to tellers, warning them that the man has a gun and demanding cash, according to the alert. After receiving money, the man runs out of the bank and escapes in a vehicle. The man struck most recently at the Lakeside Bank, 1350 South Michigan Avenue, at 3:$7 p.m. Thursday, according to the FBI. A dye pack hidden in the cash exploded about a half-block from the bank, according to media reports. Previously, the man robbed Chase Bank at 1:09 p.m. on January 16th, the FBI said. Police described the offender as a black male between 45- and 55-years-old who stands 5’2” to 5’6” tall. He weighs 150-180 pounds, has a medium complexion, short black hair, and a black and gray goatee. Anyone with information about the robber may contact Area Central detectives at 312-747-8384 regarding pattern #P19-1-026 or the FBI Chicago Field Office at 312-421-6700.